What researchers are finding in many of theses instances is that employers still don’t seem to understand what their obligations are. They don’t get workers’ rights, they don’t understand what family responsibility discrimination is and they aren’t taking the time to learn how they might be liable for it. While the total number of employment discrimination cases filed in federal court declined 13 percent between 1998 and 2012, family responsibility discrimination case filings increased by 590 percent. Of the family responsibility discrimination cases that actually go to trial, 67 percent of plaintiffs win. However, of all these cases filed (including ones that do not go to trial), employers win 52 percent of the time. Employees in these types of cases won nearly half a billion dollars in verdicts and settlements over the last decade, between 2006 and 2015. That’s more than double what these plaintiffs won in the 10 years prior to that. No industry or position was immune. Family responsibility discrimination occurred at every level within companies at every state. However, workers in the West and Northeast regions were more likely to win. Cases involving elder care responsibilities spiked by 650 percent in the last decade. This is probably going to continue as the population gets older. Pregnancy discrimination remains commonplace, and complaints are increasing as well. Cases involving pregnancy accommodation (women want to work but need some accommodations) rose by 315 percent. Pregnancy discrimination claims are the most common type of family responsibility discrimination claim, comprising nearly 70 percent of these actions. 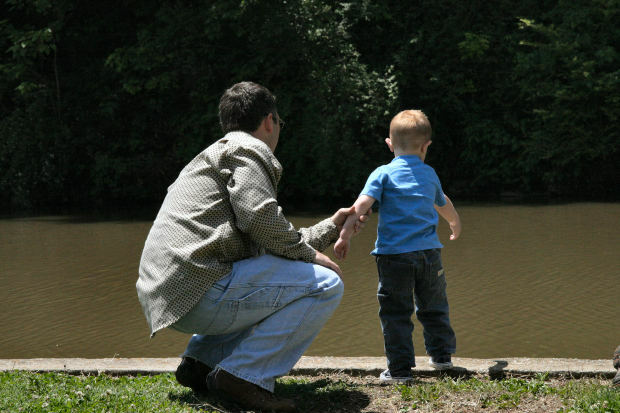 An increasing number of family responsibility discrimination claims are being filed by men. In fact, a quarter of the WorkLife Law’s worker family discrimination hotline calls are from men. Male workers file 55 percent of the spousal care discrimination lawsuits, nearly 40 percent of elder care lawsuits, 40 percent of FMLA lawsuits and almost 30 percent of child care discrimination lawsuits. Paternity leave cases are also ballooning – 336 percent just in the last decade. Employees who suffer caregiver discrimination when they are afflicted with some kind of adverse employment action based biases about how working caregivers should act, without regard for their actual performance – or the law. A father who occasionally stays home to care for his sick child is excluded from important meetings or punished for actions that other employees engage in without consequence. A mother of young children is passed over for a promotion. A young male worker is fired when he asks his employer for accommodations to take his elderly parents to and from the doctor. Although there is no federal statute (aside from FMLA), some states have specific caregiver protection laws, and these workers also rely on anti-discrimination statutes.